Edie is a teen who smuggles immigrants into the United States while promising himself that he will never get worn-out at the assembly plant. Carmela is a nine-year-old who knows more about work in the city’s dumps than fairy tales, yet every day at sunset she dreams of a better life while watching the kites that fly over her slum. Brothers Adrián and Fernando don masks to conceal their youth and perform wrestling matches at busy intersections in order to support their family, all the while dreaming of traveling the world as famous Mexican fighters. Edie es un adolescente que pasa gente indocumentada al otro lado mientras se promete a sí mismo que nunca se dejará ganar por el trabajo de planta. Carmela es una niña de nueve años que sabe más del trabajo en los basurales que de cuentos, pero que cada tarde imagina una vida mejor mientras mira las cometas que vuelan sobre su barriada. Adrián y Fernando son dos hermanos que esconden su infancia detrás de unas máscaras mientras ofrecen espectáculos de lucha en las intersecciones para poder dar de comer a su familia sin dejar de soñar con viajar alrededor del mundo como grandes figuras de la lucha mexicana. Yolanda Pividal es una periodista y documentalista española afincada en Nueva York desde el año 2005. Su trabajo ha recibido el apoyo y el reconocimiento, entre otros, de la Fledgling Fund (Premio a la Mejor Cineasta Latina Emergente durante la semana del cine Independiente de Nueva York), la Asociación Internacional de Documental, la Asociación de la Crítica Norteamericana (NBR), y más recientemente una beca de residencia como Cineasta Internacional del Jacob Burns Film Center, donde actualmente enseña documental y desarrolla nuevos proyectos de innovación educativa a través del audiovisual. Como productora y editora de televisión, Pividal ha recibido cuatro premios Emmy por su trabajo en el multipremiado programa cultural Nueva York (CUNY TV). Yolanda Pividal is a Spanish journalist and documentary filmmaker based in New York since 2005. 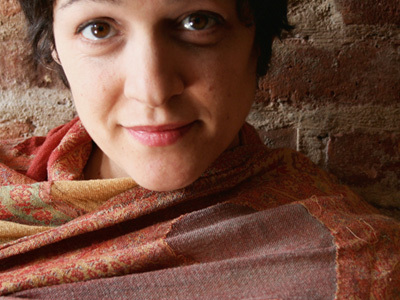 Her work as an independent filmmaker has received support and recognition, among others, from the Fledgling Fund (Emerging Latino Filmmaker Award, New York Independent Film Week), the International Documentary Association, the National Board of the Review, and more recently, the International Filmmaker in Residence fellowship from the Jacob Burns Film Center, where she currently teaches documentary and develops innovative visual literacy programs. As a TV producer and editor, she has been awarded four NY Emmys for her work in the award-winning cultural show Nueva York (CUNY TV). a 501(c)(3) tax-exempt organization charter in the state of New York. 15th Havana Film Festival is proudly powered by WordPress and BuddyPress. Just another WordPress Theme by Themekraft.